This product is for a single TIE Advanced (Imperial) Manoeuvre Dial. This product is for a single TIE Interceptor (Imperial) Manoeuvre Dial. This product is for a single TIE Bomber (Imperial) Manoeuvre Dial. 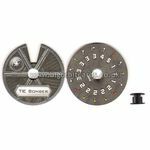 This product is for a single TIE Defender (Imperial) Manoeuvre Dial. 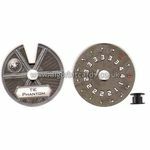 This product is for a single TIE Phantom (Imperial) Manoeuvre Dial. 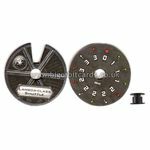 This product is for a single Lambda-class Shuttle (Imperial) Manoeuvre Dial. 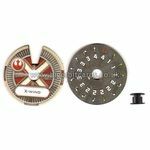 This product is for a single X-Wing (Rebel) Manoeuvre Dial. 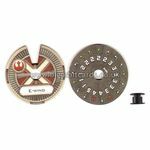 This product is for a single Y-Wing (Rebel) Manoeuvre Dial. This product is for a single A-Wing (Rebel) Manoeuvre Dial. 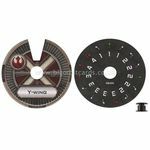 This product is for a single B-Wing (Rebel) Manoeuvre Dial. 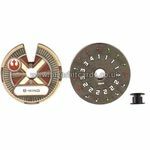 This product is for a single E-Wing (Rebel) Manoeuvre Dial. This product is for a single StarViper (Scum) Manoeuvre Dial.